Join my mailing list for updates and freebies! Please fill in the word below for our spam protection. * If you can't read the word, click here. Merrill Leffmann is a voice teacher who gives private and group singing lessons in Scottsdale, Arizona, a singer who performs shows at private events throughout the Phoenix valley, a songwriter actively adding to her songbook and a recording artist. Merrill is back in Scottsdale and music is bustling in her studio again. Come join us for private lessons, group classes, concerts and more. Ms. Leffmann excels and melding effortless technique with musicianship and style. Come experience how fast you can leave poor singing habits behind - and enjoy it! 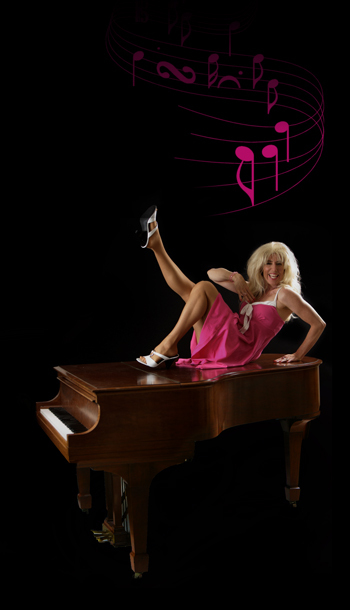 Ms. Leffmann performs cabaret and specialty shows throughout the Phoenix valley. These performances are as elaborate or as simple as the event entertainment demands. Shows might be a one and a half hours, complete with costumes and choreography for corporate or other events, or two songs to help an anniversary or wedding sparkle, or a mini-show with fun props at a party... the event determines the show. One specialty of Ms. Leffmann's is creating unique, and often funny characters in song. Her cabaret shows are spiced with songs and arrangements that are heard nowhere else. Merrill Leffmann writes songs of different styles, both for herself and for other voices. She is always open to collaboration partners if there is great musical chemistry - particularly in country, pop, or theater. Going to the ASCAP or TAXI conventions in Los Angeles? Maybe I'll see you there! Ms. Leffmann also records - both her own songs as well as the works of others. She can arranged songs or perform an existing arrangement.